Healthy habits are the little things that will help us stay fit, young and youthful longer. They might not miraculously remove stretch marks or sun blemishes but they will contribute to your overall health. My mother has a healthy habit addiction and she’s passed on some great tips that will surely help you achieve your fitness goals. These healthy habits work best if you practice them religiously and if you are patient enough to take the time to reap the benefits. 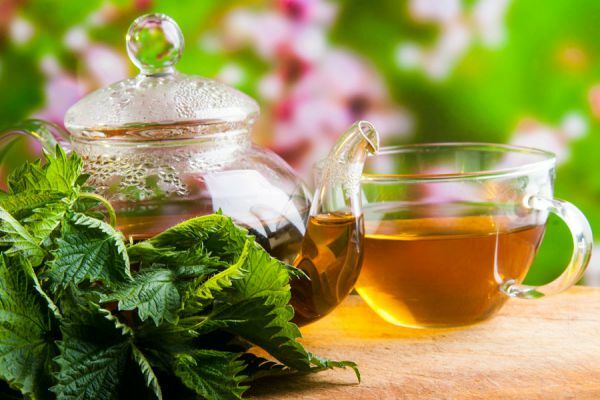 Nettle tea is an amazing herb you can introduce to your tea-drinking habits. The original name is “Urtica Dioica” and it’s found in Europe, Asia, and North Africa. A fascinating trait about this herb is that a few of these varieties are covered with spines and trichomes, which effectively deliver irritants to the skin when they come in contact with humans or animals; this defense mechanism might ward of predators from eating it. However, when you soak the plant in water the chemicals are neutralized and make it unharmful. When you drink this tea daily you will find that it is quite strong, but due to the flavonoids and carotenoids, it’s absorbed quickly by the body. Compared to other leafy greens, this plant is truly rich in calcium, magnesium and rich in antioxidants. Nettle tea is wonderful for skincare because it has anti-inflammatory and analgesic properties making it useful for people with eczema or acne to help speed up healing and prevent scarring. My mother always gives me this tea when I have an upset stomach and it works like a charm. These properties help balance the bacteria in the gut and promote a healthy digestive tracts and stomach health. As a powerful diuretic, it is also healthy for your kidneys because it stimulates healthy and consistent urination and it prevent’s the development of kidney stones. It has many other benefits like preventing the gradual breakdown of our bones and thus helping prevent osteoporosis and anemia. These are just a few of the many reasons to drink this tea but most of all it will help your body stay young. We have heard countless times to eat fruits and veggies as a healthy habit. 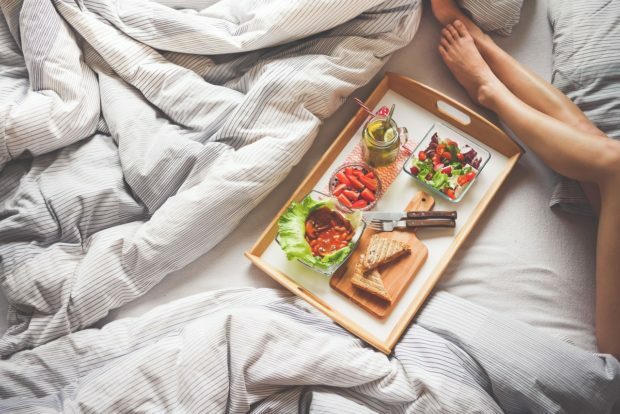 However, if you’re like me and have bouts of junk food cravings, it’s very hard to adopt these wonderfully healthy habits. I have an idea! Let’s take a look at two seemingly simple fruits that are widely available. Fruits not only help our skin look radiant and flawless, but fruit helps to improve our bodily functions. We don’t just want to use expensive creams on our skin but also pamper ourselves from within. Let’s start with apples, they contain malic acid. According to professionals, malic acid helps boost energy levels and is an essential component in the Krebs cycle, a process that turns carbohydrates, proteins, and fats into energy and water in the body. If there isn’t an adequate supply of malic acid in the body, the Krebs cycle can’t function properly, leading to fatigue. Also, apples work wonders for the skin; malic acid is used to remove dead skin cells, reduce signs of aging (including wrinkles) aid in the treatment of acne and promote the production of collagen, a type of protein that helps our connective tissues. Banana’s are one of my favourite fruits because they are tasty, great for smoothies and make great banana bread. This succulent yellow fruit is great for your health as it is high in potassium; this essential mineral helps communication between nerves and muscles to aid in moving nutrients into cells. Banana’s are great for keeping our cardiovascular system in check, they contain sterols. As these sterols look structurally similar to cholesterol, they can block the absorption of dietary cholesterol. By blocking absorption, they help us keep our blood cholesterol levels in check. 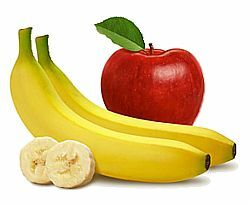 So now that you know the benefits of banana’s and apples why not eat them as part of your regime? Researching about fruits and veggies will help us look at them more scientifically and find a real reason to adopt them into our diet. This highly pigmented purple colour vegetable is high in folate. I grew up eating this delicious veggie as part of the famous Russian salad that many latin’s eat. My husband generally eats beets in Borscht, a famous Russian soup which adds this veggie as the primary ingredient. Why eat beets? This is the best (in my opinion) anti-aging veggie on the planet. It stimulates the production and repair of cells, which helps protect against premature aging. Fight wrinkles and skin conditions naturally with folate and also prevent age-related macular degeneration with vitamin A and carotenoids. Try to eat this veggie raw, if you boil it (and you will for hours because it’s very hard) you will lose the nutrients. Try and shave the beets onto your salad to allow the nutrients to be absorbed in their raw state. 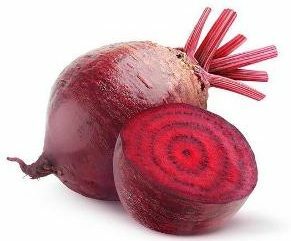 Beets help improve circulation and prevent heart disease so why not pair the habit with a gym routine which will work in conjunction with the benefits. My lovely ladies, try to incorporate these small healthy tips into your daily or weekly routine. We have to start with something, and a small step is better than none.